At Lightspeed, we love food, and we believe in food-focused businesses — so much, we’ve invested about $100M since 2011, when we made our first investment in the space in Grubhub. Subsequently we’ve invested in founders innovating in this space in unique ways — from Ben McKean at HungryRoot, to Rachel Drori at Daily Harvest. Today, I’m excited to announce we’ve led ezCater’s Series D-1. When most people think about catering, they imagine people running around a party wearing traditional catering outfits and passing appetizers or refilling drinks. What they don’t realize is that the space is much broader and much deeper than this basic assumption. This is something the ezCater founders, Stefania Mallett and Briscoe Rodgers, helped demonstrate back in 2014 when I first met them — and back when I realized ezCater was a growth stage business disguised as an early stage company. They apply a laser focus and disciplined approach to every aspect of ezCater’s business. They’re mindful not to create “empty calorie” growth, which is something a lot of businesses in their space (and others) mistakenly chase. ezCater was the first to foster the highest quality network of restaurants and catering partners, redefine what it means to provide exceptional customer service, and by effect create the largest marketplace for corporate catering. 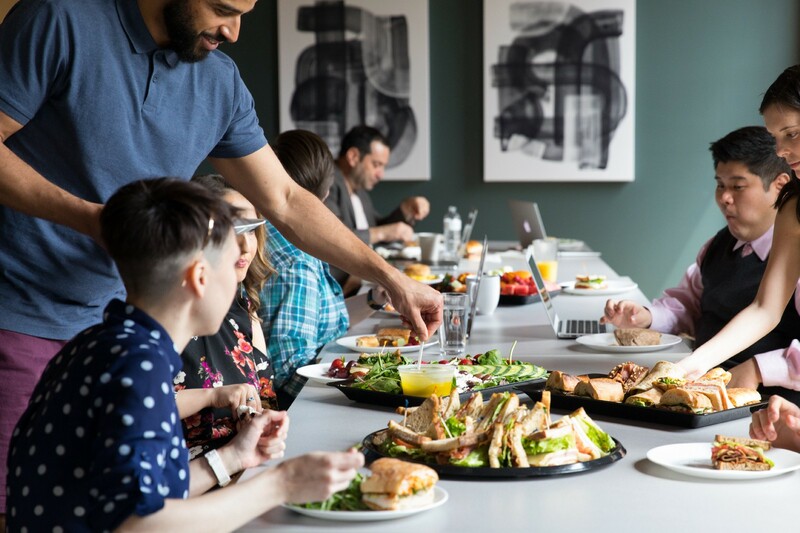 From routine office lunches to offsite client meetings, from 5 to 2,000 people, they have a solution and make the whole experience so good you keep coming back. At the end of the day, they help make workers more productive, and help caterers and restaurants get more business. It’s a winning combo and the sky is the limit as they continue to expand their services to international markets. While ezCater has been around since 2007, this is very much so just the beginning and Lightspeed is proud to partner with them in their next phase of growth. Also, I would like to call out Natalie Luu who co-led the investment here at Lightspeed with me. It was an incredible effort by her to help win and close on this partnership!